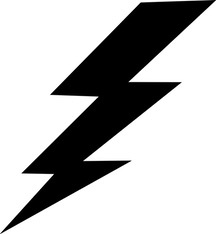 Drawing of a lightning bolt. Note that there is NO E in LIGHTNING. When I saw the word lightning misspelled in an item from Raw Story, I wasn’t particularly surprised. In searching for reliable news, I long ago learned to disregard items from that online publication. But then I did a web search for the phrase “lightning rod,” limiting it to the past year. I found a Target ad with the headline “Skylanders Giants Character Pack – Lightening Rod.” The word was spelled correctly on the package in the illustration. The Daily Mail quoted a boxing promoter called Don King who called President Trump a “lightening rod.” I checked to see if the quotation was from a written source, but it wasn’t. It was from a spoken interview with Fox Business host Charles Payne. On a Better Business Bureau site, I found an entry for “Boston Lightening Rod Company.” To be fair, two other uses of the word in the same entry are spelled correctly. As the saying goes, lightening never strikes twice, but it only took once to set a tree on fire at the Galt Cemetery on Monday. Both AT&T and Union Pacific had workers on the ground at the time of the lightening strike. Lightening strikes literally have an incidence of about 1 in a million. Early last year two people in the same small rural Australian town were hit by lightening in the same storm – and that town was where I work (perhaps I should’ve bought a lottery ticket too that day). If you were a 7 year old child drawing a picture of the storm on a sunny day, it would look like this storm. A single grey angry cloud frantically firing out bolts of lightening in an otherwise perfectly blue sky. A 70 year man presented with left sided facial droop and mildly slurred speech. He described how he was loading his pick-up truck with firewood when the storm came over. He saw the bolt of lightening hit the truck and a small branch of lightening shot off and hit him in the leg. 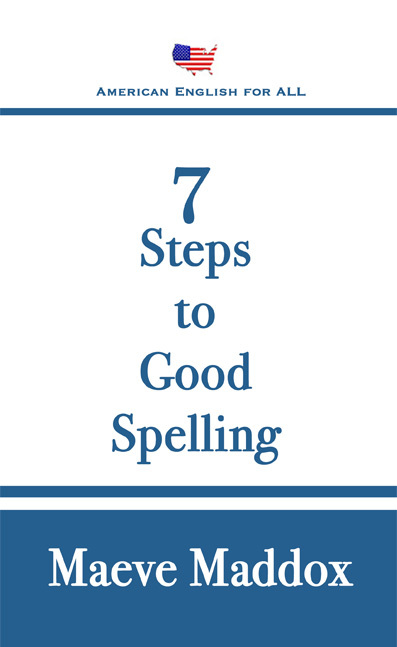 Lightning is one of the frequently misspelled words I discuss in my new spelling guide, 7 Steps to Good Spelling. The error here is to use the word lightening to refer to the electrical phenomenon of lightning. Lightening is the present participle form of the verb to lighten (to make less heavy or to make brighter). This bag is too heavy. We need to lighten it so I can carry it. The sky in this painting is too dark. Use some white to lighten it. Huck and Jim watched the lightning during the storm. Benjamin Franklin invented the lightning rod. Get your own copy of 7 Steps to Good Spelling here.